Full Control of your business or community listing. Log in and add or amend information as often as you want. Premium position for your business or organization above all the free accounts. Where more than one premium account exists in the same region and for the same category, the top placed ads will be rotated. Create a corporate or community identity with your own logo and no competitor adverts of any kind on your page. Upload brochures, catalogues, price lists for your customers to download. Make it easy for them to do business with you or join your community. 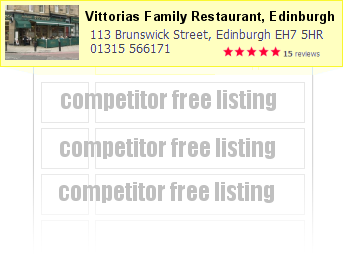 No external ads or competitors' ads displayed on your page. Get feedback from your customers - valuable market research, for free! PLUS You can respond to the reviews! Be found by more people... Your business is listed in up to FIVE categories of your choice.